Kate: You are listening to Podcast Number 56 at PracticalHomeopathy.com. Hi everyone. 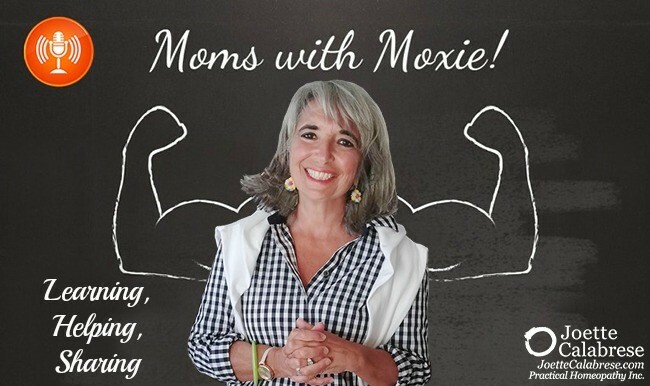 I’m excited to be here today with another fabulous Mom with Moxie. I’m Kate, and today, I’m here with Sheena. 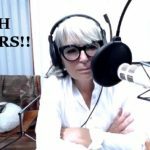 She has a great story to tell and some amazing tips for us. So, get ready to take some notes. And if you have a husband or another family member that’s not onboard with homeopathy, you’ll want to stay tuned because Sheena has some great insight for you. So, Sheena, welcome! Kate: As we begin, I like to ask our moms to share with us a little bit about their lives. So, I want to ask you to do that as well. Tell us about your family and yourself. Sheena: So, we live in Jupiter, Florida. I have two daughters, 14 and 10. My older daughter is a gymnast and my younger daughter is a dancer. So, they’re athletes. My husband is a doctor. I pretty much spend my time geeking out on food and homeopathy — which are my passions. Kate: Those are great passions to have. But I tell you, when you said you live in Jupiter, Florida, I’m still trying to get over that. Because when someone asks you, “Where do you live,” I imagine if you say, “Jupiter,” they look at you like you’re crazy, right? Kate: I have never heard of Jupiter, Florida. So, I guess we’re all learning something today. So, tell us, Sheena, a little bit about your journey to learning about homeopathy. Sheena: So, I have been into traditional foods based on the work of Weston A. Price (which is a foundation) for about 14 years since my first child was born — and I realized that I had to learn how to cook, and I had to feed this child. That was great for many years. But in the last — I would say — five years, I realized that as a chapter leader for the Weston A. Price foundation, that people were too sick for food to be their medicine. In addition, people really don’t want to be restrictive with their food. They don’t want to not go to dinner. That they want to go hang out at coffee shops, and they want to let their children indulge in the foods at school and such. So, it became very difficult to help people with food. Kate: Because you can’t give her bone broth for a crushed finger, right? Sheena: Right. It’s not going to do it. I really had no tools in my mommy-tool-chest for that. And then the same child — I think maybe a year later — got some sort of bug bite on her eye, and it swelled up huge. And for a week, I was trying everything. It was getting to a point where my husband was like, “It’s time for her to go to the hospital.” Fortunately, I actually did resolve that, but it was tense. So, I realized I did not have the tools I needed, especially for these acutes. So, I really was looking for something for acutes. 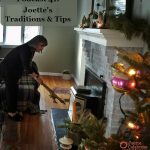 So, I remembered seeing Joette’s articles in the Wise Traditions magazine and went on her website and decided to take her Good Gut, Bad Gut course. I don’t know — maybe two hours into the video, I’m like, “Hmmm, this looks very interesting.” Then I started trying it, and I couldn’t believe it. I couldn’t believe that this medicine existed, and that it took me so long to find it. Now, I think I’ve taken every one of Joette’s classes except for one. I mean, I can’t wait for the next webinar or whatever that she’s got to put out. I’m soaking it up. It’s amazing. Kate: I went through a similar journey. It seems to be a common thread among moms. You have children and then you think to yourself, “Uh-oh, I got to figure out how to take care of this child.” So, I — like you — started with food, learned about herbs and essential oils. That was all great. But like you said, it doesn’t take care of everything. So, it’s nice to hear that other moms are on a similar journey, and how they came to homeopathy. You talked about your husband, and you mentioned that your husband was a doctor. I know you mentioned that at first, he wasn’t a believer. How did that transition take place from him not believing to — I think — now he’s a supporter, right? Sheena: Yes, he is! So, a lot of my women in my study groups have difficulty because they want their husband to be onboard (or their spouse). I’ve only had one man in my study group, so it is mostly moms. What I tell them is it’s reasonable for your husband to be skeptical. So, the thing to do is to demonstrate competency to your husband starting with the little things — with the acutes, with the sprains, and the bumps and the bruises. Most people are not going to object to Arnica. It’s really effective. Your kids bump into something, and you would expect a bruise. Or your husband falls off a ladder or whatever, you give him some Arnica. It’s amazing! So, I just demonstrated to my husband. I learned, and I treated people every opportunity I had. We have a bearded dragon which is a lizard. She is about 8 inches long. She overindulged in kale. And she was throwing up all her crickets. Sheena: So, this was really early on. So, we thought, “Okay, over-indulging, that’s Nux vomica.” So, we made a little solution of Nux vomica with water and got it in her mouth, and it was crazy. Within minutes, she stopped throwing up the crickets. Kate: It’s such a funny story. She was throwing up crickets, and the Nux vomica helped her to stop throwing up the crickets. It’s a great story! Kate: So, she didn’t throw up? Sheena: She didn’t throw up. Kate: Oh, my gosh, that’s fast! Kate: And then what happened after that? Sheena: She was done! That was done. Sheena: Yeah, my family — me and my kids — we get stomach bugs, and it’s bad. I’ve been like down-and-out. Once I start throwing up, it’s game over. But, since I have discovered Arsenicum, if I catch it fast enough, it’s done. The illness is over. Kate: And you don’t get to the throwing up stage, right? Sheena: Correct. So then, you don’t have to go through the dehydration stage and the recovery from that stage. Kate: I have found the same thing with Arsenicum album. Actually, I’ve gone as far now as putting it in my kids’ bedrooms so they each have an Arsenicum album there. So, if they were to wake up in the middle of the night, they just pop an Arsenicum album in, and they’re good. In fact, they have not thrown up in over five or six years. So, I just think Arsenicum album is one of those remedies I cannot live without. I think we were talking about that earlier, right? You feel the same way. Sheena: Yeah. I mean I have a hard time deciding between whether I couldn’t live without Arsenicum or Hypericum. So maybe HyperArs is the remedy I can’t live without! Kate: Right. And if you could take two to some remote location, that would be the ideal, because then you could have Arsenicum, Hypericum, and then you could combine them for infections. Sheena: Yeah. I would be very sad if I couldn’t have those remedies. Kate: Yeah. So, your husband has witnessed this all along, and he’s seen the changes in your family and your kids and you. Right? Sheena: Yeah. So, you have to demonstrate that it works — I think — and not just want people to believe you. Kate: You have some advice for people as they’re starting out using homeopathy: how to go about it in a way to set them up for success. So, why don’t you share that with us? Kate: So, you said you didn’t present it that way. How did you present it to her? Sheena: This is the other thing. Her mother wanted her to try homeopathy. So, I told the mom that, “Here’s the protocol, this should work. This stuff is amazing! It’s going to work,” and so on. And so, when the first remedy didn’t work, she was done. That was it. The young woman did not want to try the next remedy which I have been using successfully for someone else. So, I’m sad that that happened. But I think had I either waited and not taken her case yet, or presented it to her a little differently, that perhaps maybe she would have tried other remedies. Because you’re not always right the first time, which is why Joette says you try a remedy for eight weeks. And if there is no improvement, you move on to the next remedy. Kate: The other thing that seems like it was hard in that situation was it wasn’t her that was wanting to try the remedies, it was her mother. Kate: So, you refer them to Joette’s website. If you go on to her main page, you’ll see on the right-hand side, it says, “New to Homeopathy.” And then if you click on that little brown go-button, it will take you to the next page which is a Quick Start Guide. Then if you scroll down, you’ll see under “Read,” the links to “What to Expect When Using Homeopathy Part 1, 2 and 3.” On the right-hand side, under “Listen,” there is also some great information for people who are newer to homeopathy. So, you’re right, that is a great place to refer people. Sheena: Yes, because it’s too much to explain. And, for chronic cases, you want people to be a little bit invested. Kate: That’s a good point. They have to know because otherwise if they’re just taking this, and they have no idea what it is or how it’s used, then they are less likely to continue. Especially like you said, if it’s something chronic, it’s good that they be invested in it as well. So, very good point. Sheena: Most people now that I have helped are in one of my study groups that I’ve led or somebody they’re helping. That’s only for chronics. If it’s an acute, I will help. I just ordered my third set of 50 little containers that I use to put samples in, if you will, of homeopathy — which means I’ve given away 150 little jars of homeopathic remedies. Kate: Oh wow! Well, what do you use? Sheena: They’re tiny, little amber-colored glass bottles that I purchased on Amazon. They come in packs of 50. Sheena: I learned, very early on, don’t give your bottle away. Because the minute you do, you’ll need it! Sheena: So, I put the remedies in those, and I give them to people. Subsequently, I searched out for someone who was willing to let me practice on them. I found a woman who had horrible, chronic diarrhea and ten-plus bad bowel movements a day. She would have to fast, and she could get it down to about four, literally eating nothing but broth. So, I explained to this woman that I hadn’t worked with someone successfully with diarrhea. She had quite a few issues: asthma; she got pneumonia often; celiac disease; colitis. So, there was a lot going on. I knew this was going to be really challenging. Right up front, she committed to giving it a try, and I committed to giving it my best shot to help her. So, I made a spreadsheet, a table, and we could talk about that later. But, I listed out all her issues, and we listed out all the possible remedies and found that the remedy for acute diarrhea also happens to be a celiac remedy. So, that made it pretty easy to choose that remedy. And, it worked in about two months. She was able to be diarrhea-free — not permanently. We’ve had some ups and downs. But, she was actually able to eat food and not have diarrhea at all — zero. Kate: Wow! That’s life-changing for her! Sheena: Yes, life-changing. I mean it’s significant. 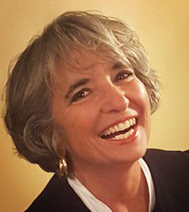 She had really tried everything — food and all the best advice as far as natural medicine. Sheena: Right, yes. So, the diarrhea was gone. That was October of 2017. Then in March, it came back. So, I said, “Okay, go back on the remedy. We know what worked. Go back on it.” She had been adding more foods. I knew from Joette’s teaching that things come back, and then you just treat them again. The idea would be that it would last less time and come back less frequently and less severe. So, it came back, and we struggled a little bit to get it under control. The remedies weren’t working as well. It would kind of go away, and it would kind of come back. But it didn’t go away like it did the first time. Well, about three weeks ago, she sent me an email and said, “Don’t cry. But, I’ve been taking the wrong remedy for the last nine bottles.” So, she had ten bottles. The first bottle was the correct remedy; the other nine empty bottles were not quite right. Kate: Oh, my gosh! It was just a little bit off. It was a combination remedy — right Sheena? Sheena: Yes. So, it was Ipecac 30 mixed with Merc sol 6. It was what she was supposed to be taking, and what she took initially which cleared it up. And then she maybe was in a rush. Anyway, she bought the Ipecac 30 mixed with Merc salts. And I don’t even know what that remedy does, mixed. Sheena: So, it was very close. Kate: Nine bottles of the wrong remedy. Sheena: Correct. She kept reordering somehow the wrong remedy. But, we had taken her whole case. So, she was still treating the colitis, and she was still treating the celiac. She just didn’t have the right diarrhea remedy. Kate: So, she was taking other remedies for those other things. Sheena: Right. I think that’s why she was still kind of making progress, but not like she did initially. We even went to the second line diarrhea remedy, and that didn’t help at all. So, then we went back to the first line — which was still the wrong medicine. Sheena: But once she got the correct medicine, I think about three weeks ago, she’s been fine. No diarrhea for the last two weeks! Kate: So, for all of you listening today who are worried about provings, aggravations, not getting it correct, so that ought to put your mind at ease — that this woman is alive! Right? Kate: It just didn’t work like it should have, and that was the only consequence. It’s not like she developed any new symptoms, right? Sheena: No, she didn’t. She did, we think, prove Calc carb which she was taking for something else. We antidoted that within 24 hours. She had a hoarse voice with no pain, just kind of out of the blue. She sniffed some peppermint. It was gone. We removed the Calc carb, and that’s gone. Kate: So, we’re not saying that a proving can’t happen if you’re taking the wrong remedy, but I think sometimes people get really nervous about something major happening. But if something changes, a new symptom appears, then like you said, what – she just sniffed some peppermint, and she was better, and it antidoted that Calc carb. Sheena: Yup, it was no problem. I’ve proved remedies. I mean it was really so inconsequential to how beneficial it is to try the remedies. At least in my group, we just don’t even worry about it. Kate: Okay, good. Are there any other cases that you think might be useful to someone listening or had an amazing experience that you want to encourage someone else with? Sheena: Sure. Treating people’s acutes is just a great way to get people to be like, “Wow! What is this?” and learn more. One of my daughters is a dancer. There have been several instances where one of the other dancers was not well. I’ve been able to give them a remedy and thankfully — or maybe just because the medicine is so amazing — it has pretty much almost always worked. 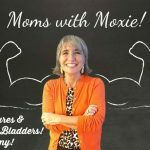 Nux vomica for teenagers with unknown stomach pain — amazing! I’ve used that three times successfully — and zero times unsuccessfully. Kate: So, when you use that, do you use it in a 200 or a 30? Sheena: 200. The first time, I kind of did it by accident. This girl, her stomach was just really hurting her, and I was pretty new to it. I knew Nux vomica, but I thought 30 would be better, but I only had 200. So, I gave her 200, and it worked within minutes. Her mom went on to get some more remedies and use homeopathy. So, that’s just a great one. I’m sitting in my daughter’s bedroom because it has better audio, and she’s got her Nux vomica on her bedside. Kate: Good visual! Too bad we can’t see this on the podcast. Sheena: So, that’s just a great one. A story that is one of my favorite stories to share is — I think it was my second study group — one of the moms came to me after the first or second class and said can I help her with her daughter. Her eight-year-old daughter was afraid of bowel movements. She wasn’t constipated. She just was terrified of having one. So, you can imagine for an eight-year-old how difficult that would be. She would hold it until she had an accident. Sheena: Just the high of being able to heal your kids because sometimes you can’t go get an allopathic solution to something. People just run out of options. It’s like you have to live with this. So that’s one of my favorite stories. Sheena: Another great homeopathy success story is kidney stones. I have found that the more painful it is, the faster homeopathy works sometimes. Sheena: Wow! I went again to my daughter’s dance, and the woman working there was in agony — clearly in agony. I asked her what was going on. She said she had a kidney stone. I said, “I’ll be right back!” So, I zoomed home, got out my Banerji book, looked up kidney stones (which I didn’t find), and I finally figured out it was renal stones. Sheena: And realized I didn’t have any of the remedies. 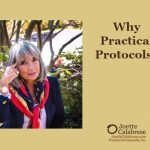 So then, I went on to Joette’s Facebook group for the students who have taken her courses and looked it up and found that someone had posted a protocol there using cell salts and Belladonna — which I had. So, I grabbed those remedies, went back, gave this woman the Belladonna to take. And I had thrown the cells salts into a water bottle and said, “Here, sip this.” Within 20 minutes, she was standing up and basically, nearly pain-free except for some low back pain. Sheena: She continued the remedies and passed the stones in little pieces, and that was that! Kate: So, she didn’t have any more of that extreme pain? Sheena: No. She managed it with the Belladonna and the cells salts. Kate: Oh, funny! That’s funny. So, you’re talking about a lot of people that you’ve helped. I know that you’ve led a number of Gateway groups, haven’t you? Sheena: Yes, I’ve led four Gateway groups. Sheena: So, three were local, and one was virtual. I really — I can’t recommend it enough to either get part of a group or lead a group, because now I have this great community of women. We communicate all the time. We meet in person. We meet over Zoom. If anybody has a problem, we have a Facebook group that’s secret — just for us. So, we share all kinds of information, and not only are we helping each other with homeopathy, we have all these new friends. Kate: I love the Gateway groups. We help one another out. We share remedies if one of us doesn’t have one. Someone is going to have the remedy. Sheena: Yes. So, having a local group is really nice, especially for that. Sheena: Getting together and building a community is just so wonderful. So, I keep my groups small — 10 people, each one. So, I have about 40 women and one man in my group. We collaborate, and then they’re helping people. Some of them have five people that they’ve been helping, so it gets exponential. Kate: Yeah, okay. We have the Gateway II coming out soon, so that’s exciting. If you haven’t already taken the Gateway I, you might want to consider taking that. So then, you can just jump right into Gateway II together. Sheena: Yes. Our whole group is waiting for Gateway II. Kate: Yay! Me too, I’m excited. So, thank you, Sheena, for taking the time to be with us today. You’ve given us a lot of information, some new tools, and so I thank you for your willingness to share. Sheena: You’re welcome. Thank you. Please tell us the cell salts and potency for belladonna in the kidney stone protocol you mentioned! Sorry, our interviewees don’t respond to questions because they’re not part of our employee team. Dr. Scheussler’s Cell Salts are sold as 12 of them in a bottle. It’s called Bioplasma. Unfortunately for me, Bioplasma contains Silicea which, among other things, works really well to remove foreign objects from the body. That means people like me who have implants, (mine are in my middle ears) can’t take Bioplasma. I wish they would make Bioplasma without the Silicea! I wouldn’t worry about an implant being affected. Having said this it’s always better to use the specific cell salt/s that you personally need instead of guessing and using 12. When I was taking the Bioplasma, I kept hearing a low, rumbling noise, as though there was a diesel truck idling outside my window. I finally realized it might be the Silicea trying to remove the wires in my ears so I stopped the Bioplasma and the rumbling noise disappeared. I’m glad to learn that it’s better to take the individual cell salts for whatever problem we want to cure. Thank you, Joette! Where can I find information to join Sheena’s study group? I ready to start he Gateway to Homeopathy course, but I would love to do it with someone so experience! Call our office at 561.537.5900 M-F 9:30- 4:30 EST and my team will direct you.